BUY IT NOW FOR ONLY $120!!! 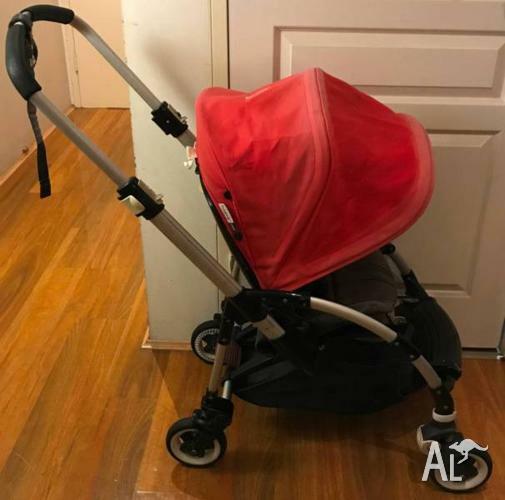 Designed specifically for parents who live life on the go, the compact, light Bugaboo Bee3 is a smart choice for urban adventurers with a newborn or toddler. 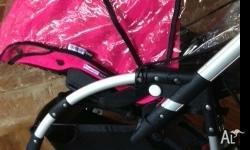 Take city streets in your stride with this manoeuvrable stroller’s smooth steering and four-wheel suspension. 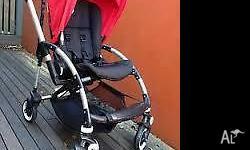 Your child can enjoy the ride from the comfort of their padded seat that grows with them — reversing, reclining and extending in just a few clicks. Need to hop into a train or car? The neat one-hand, one-piece fold makes it easy, and takes up less space at home. Be inspired by the non-stop whirl of life in the city, and use the colourful fabric sets to creatively style and restyle your Bugaboo Bee3. • Comfortable, changeable leather-look grips (patent pending). • Comfortable new born solutions. • Wide range of colours & materials. • In style & ever changing offering. • Mix & Match, play and discover. • Refresh easily along the way. 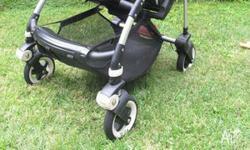 Bugaboo Bee Plus hardly used. 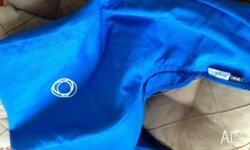 Bugaboo Bee Canopy in BLUE!! 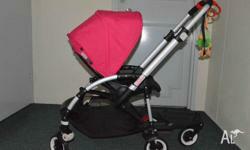 Bugaboo Bee Pram with Hot Pink Canopy! !